5 bedrooms, 3 bathrooms, 3 full kitchens; sleeps 10 -12. 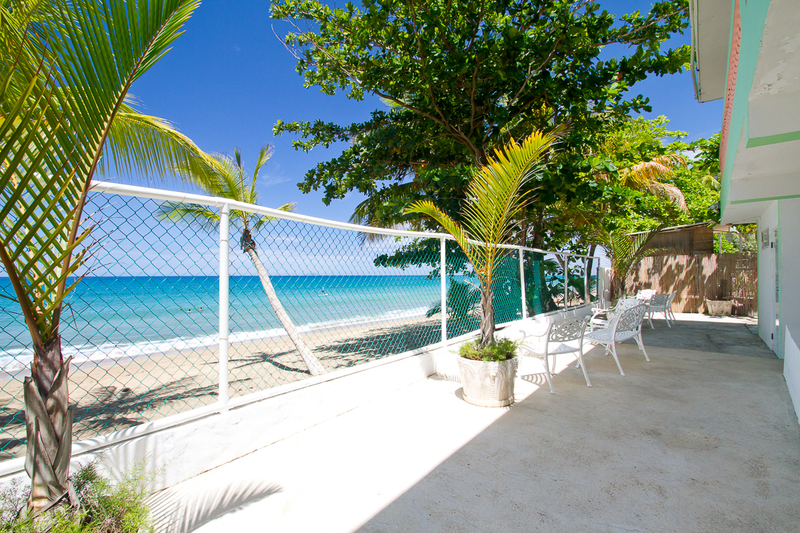 You will find an incredibly beautiful, private, direct oceanfront beach house. 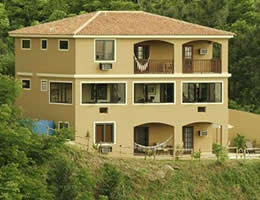 It is breathtaking, enchanting and surrounded by LaCadena mountains and the Caribbean sea. Amirage invites you to share the exquisite private and serene setting of natural beauty, just 17 ft above the sea. 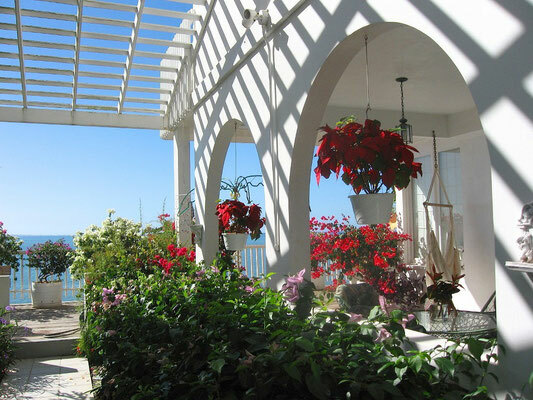 Experience elegance and casual comfort within our fabulous Mediterranean style custom beach house. Wake to gorgeous, colorful sunrise over the mountains of Maricao and spectacular ocean sunsets with frequent green flashes. At nite the sky is aglow with an astronomers dream, besides constellations, there are satellite passing & shooting stars! Watch Pelicans diving for breakfast and dinner. Bask in the tropical warmth and restful tranquility of an ever changing glorious ocean, with breezes and soothing sounds of the sea, while on your own private balcony. Open the garden gate, you are on Corcega, a beautiful sandy beach with warm, calm waters, great for swimming and snorkeling. Covered patios face west so you can dine while you enjoy the fabulous Caribbean sunsets. All rooms have AC and there are ceiling fans throughout. 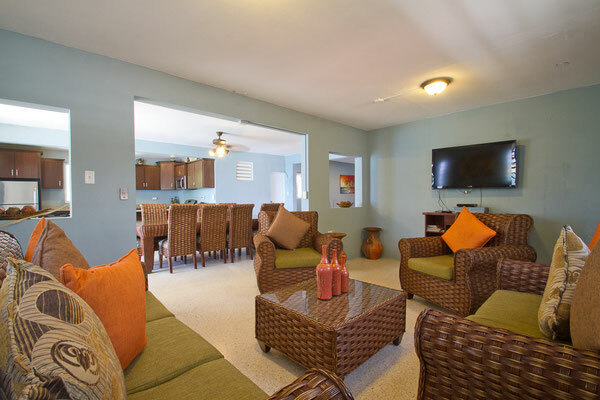 WiFi, Satellite TV, DVD,CD, washer, dryer, fully equipped kitchens. Each unit has 2 bedrooms, 2 bathrooms. All linens, beach chairs, beach towels are furnished. We have a barbeque, an outdoor shower to wash off the sand and private off street parking. 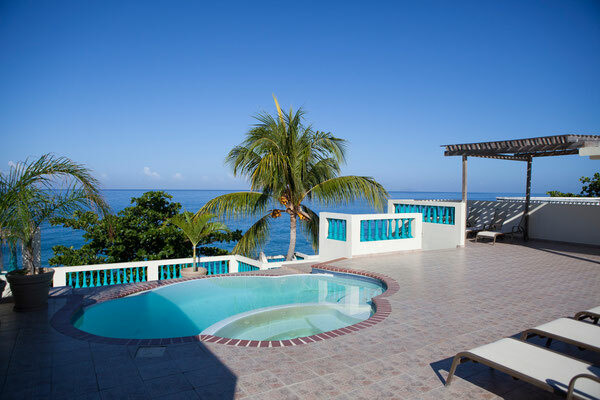 Swim, Snorkel and Relax on the beach and also enjoy the comforts of home. A great place for a quiet get-away or family vacation. 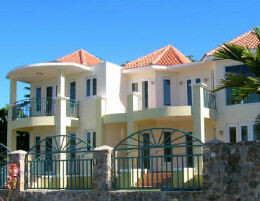 Brand-new, modern guest villa nestled in a tranquil, tropical canyon with panoramic ocean & sunset views. Best Swimming Beach in Rincon. Swimming, snorkeling, and kayaking, right in front of our house. Restaurants, shopping and lots of other fun activities are just a short distance away. 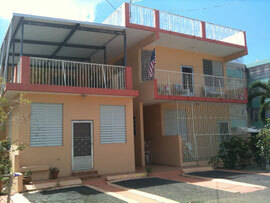 Our house has 2 separate units, each with 3 bedrooms, Wi-Fi, Satellite TV, DVD, CD, washer & dryer. Kitchens are fully equipped. 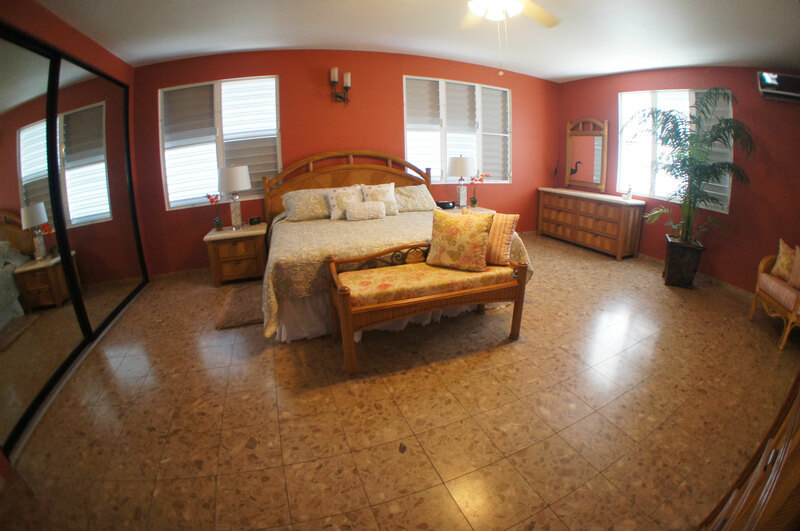 Bedrooms have AC, ceiling fans throughout. Master BR has a second TV. 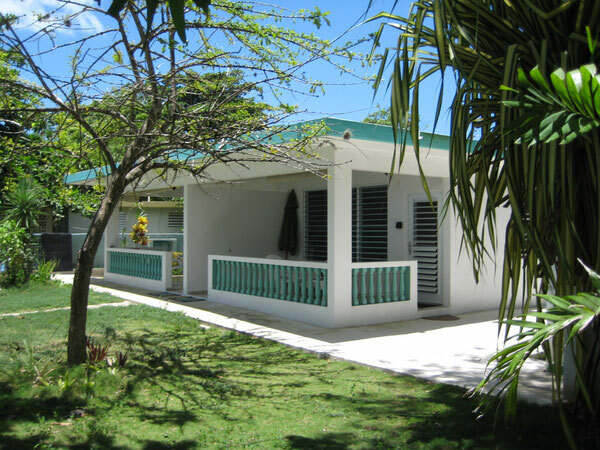 our 25 foot covered porch has barbeque and fabulous views of the calm, clear, blue Caribbean Sea right in front of our house. Relax on lounge chairs in our garden, walk for miles along Corcega Beach, or use our house as home base for day trips and come back to all the comforts of home. 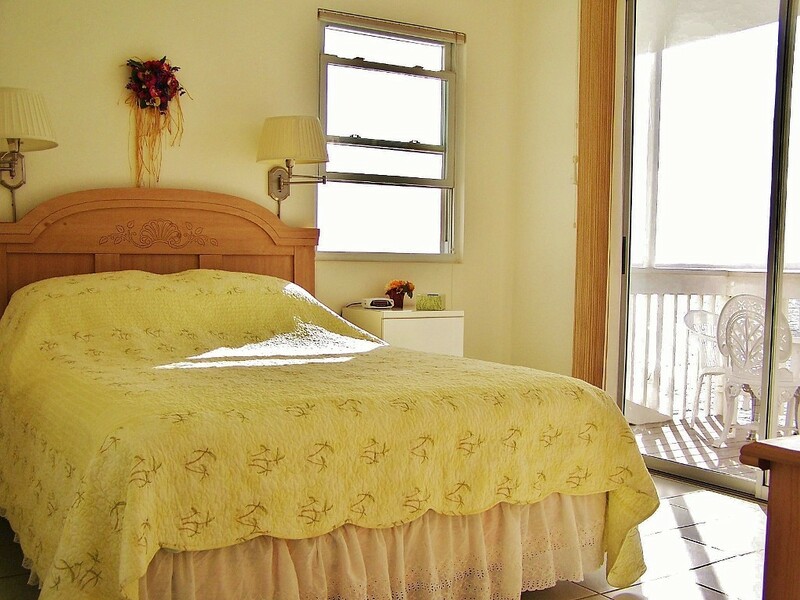 Rent one or both units for a quiet Get-Away or a large family reunion. 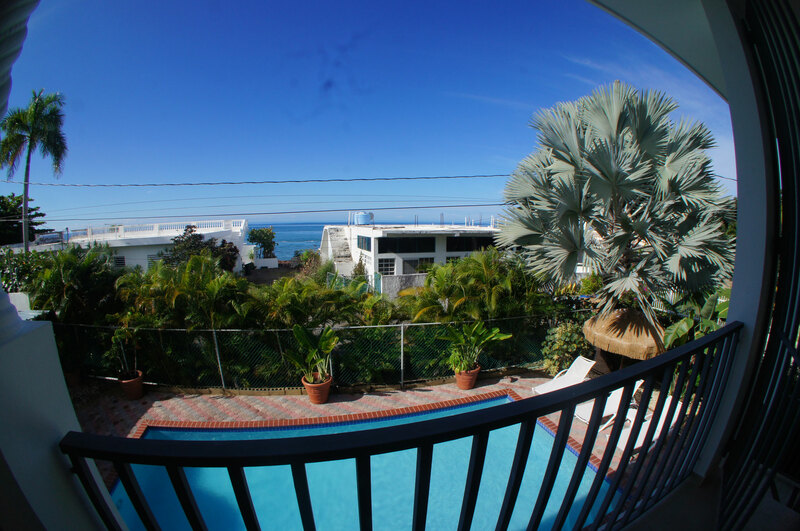 The newest luxury vacation villa rentals on Rincon's Corcega Beach! 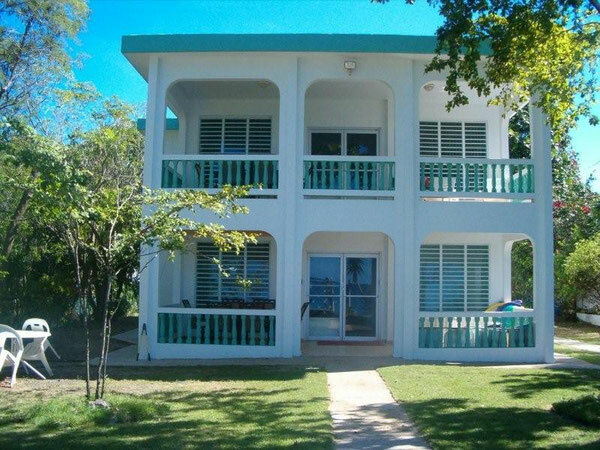 This oceanfront house has two 2-bedroom 2-bathroom villas. The villas feature a dramatic open plan living, dining and kitchen area with huge windows facing the ocean. 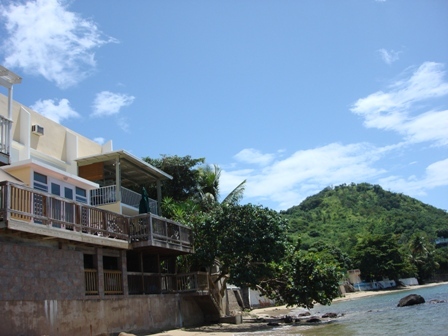 The upstairs villa boasts a private balcony and Caribbean style wood ceilings, while the downstairs villa features direct access to the beach. 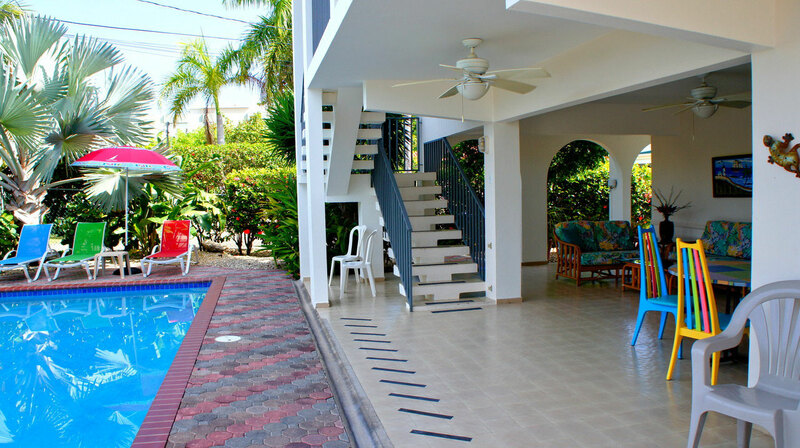 Both villas are furnished in a wonderful tropical style and are also fully equipped. 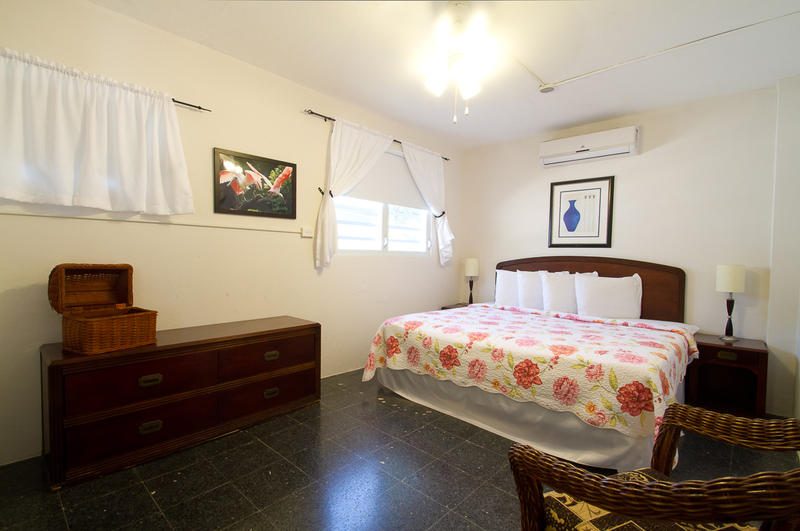 All bedrooms are air conditioned and the open plan living area has Caribbean style ceiling fans. 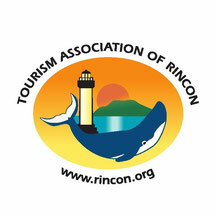 Seashell Villas is available for anyone looking for a luxury vacation rental on Rincon's Corcega Beach. 7 private, separate villas sitting directly ON THE BEACH! 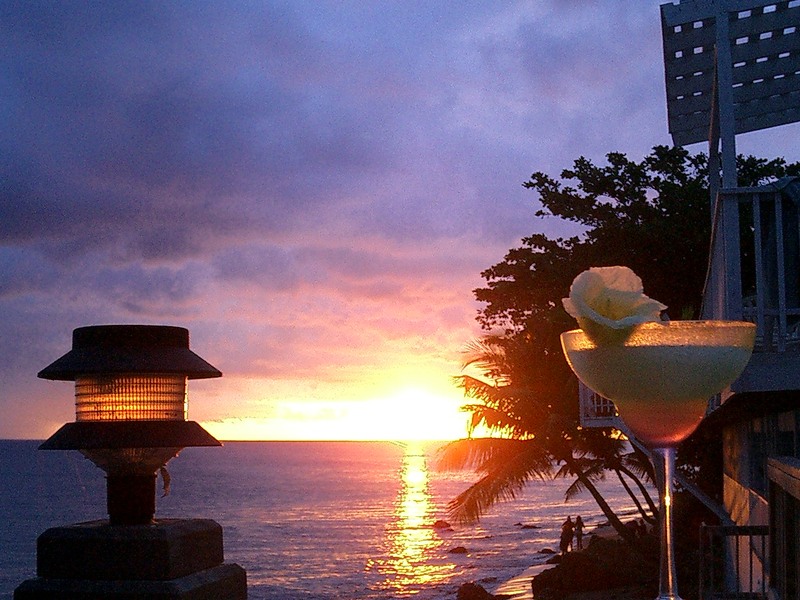 All are casually elegant, with beautiful sunsets, & warm ocean breezes. 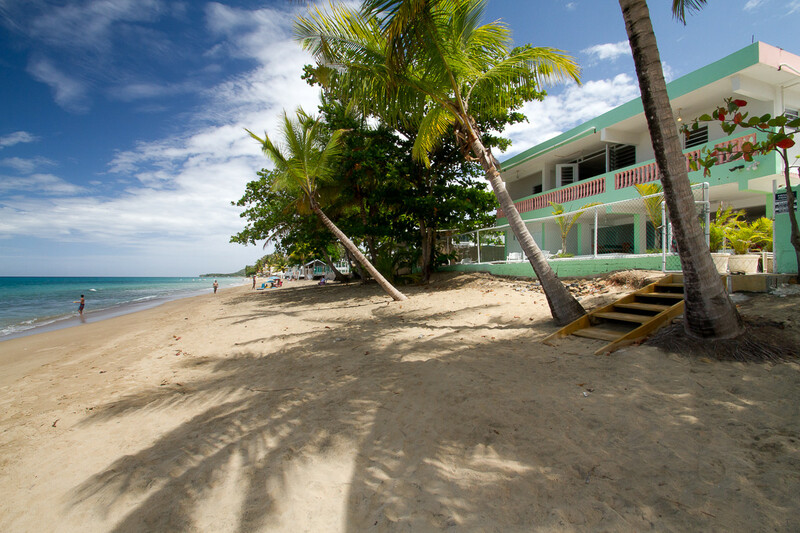 Come experience some of the finest beach front rentals in Rincon, Puerto Rico! 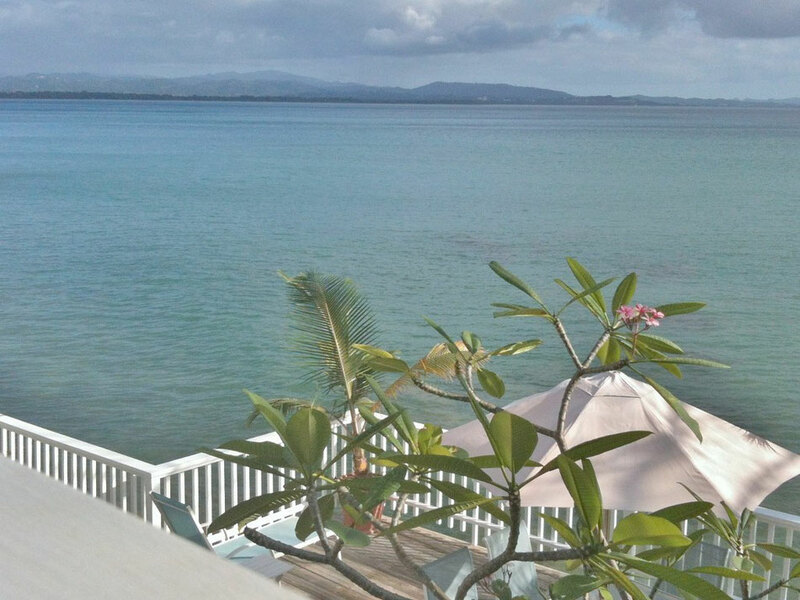 Conveniently located between heaven and earth, you’ll find Rincon, Puerto Rico and our spacious, comfortable, oceanfront villas. 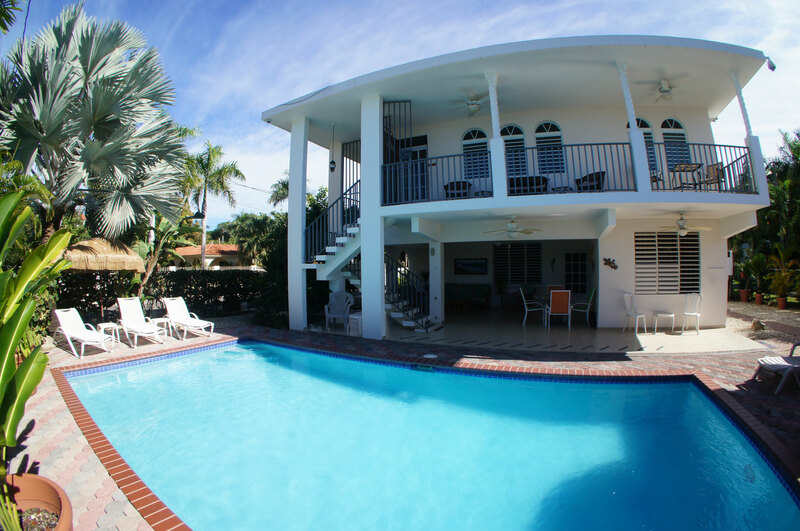 Enjoy your own private beach home and be steps away from the tranquility of the Caribbean ocean, while experiencing the culture of Puerto Rico. Our villas provide an excellent place to watch the waves break, enjoy the ocean breezes, or simply relax in the hammock on your ocean side patio. No matter what size your party is, we can comfortably accommodate anywhere from one to 46 guests! Nowhere else in Rincon will you find 7 private homes with a total of 23 bedrooms and nearly 20,000 total sq feet of space to host any size event. Call or visit our website today so we can help plan your family gathering, wedding or any special event. 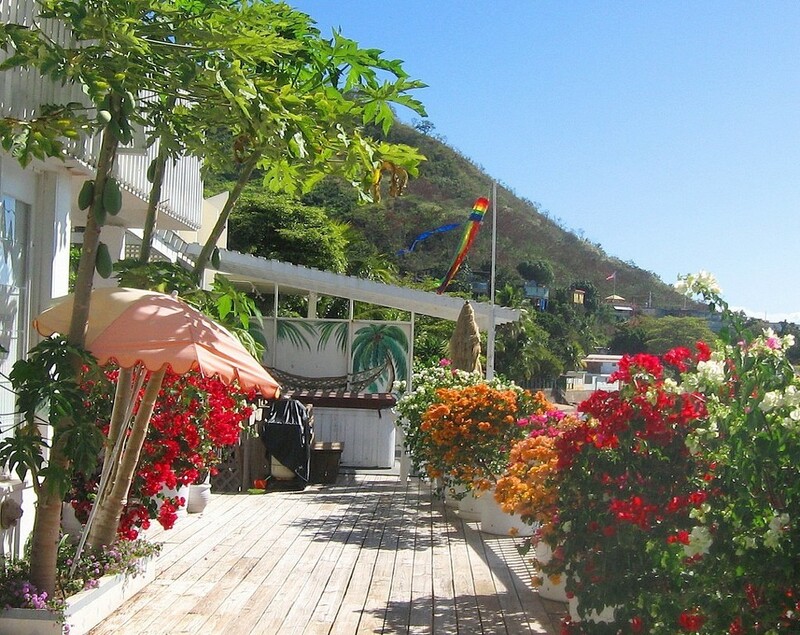 Looking for the perfect Caribbean Vacation? Want to just get away from it all? 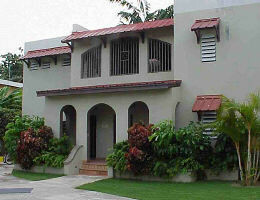 Florimar is a two-story villa that consists of two complete units. This listing is for the upstairs apartment. To view the downstairs apartment see VRBO listing No. 375950. This villa is literally on the beach. It provides the perfect setting to relax, dine, read, or watch the stars at night. The apartment has its private decks and gardens with a spectacular view of the Caribbean Sea and mountains. 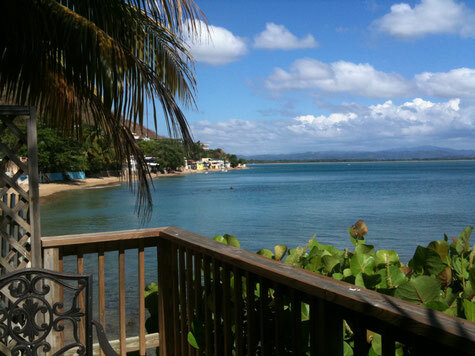 The beach is a semi private beach on serene Caribbean waters protected by a small coral reef. It is wonderful place for walking, exploring, snorkeling, etc. There are many decks facing views of the mountains, the sea, and the stars (have you ever seen a moon set) ... provides a feeling that cannot be described. It is a very romantic and tranquil place. 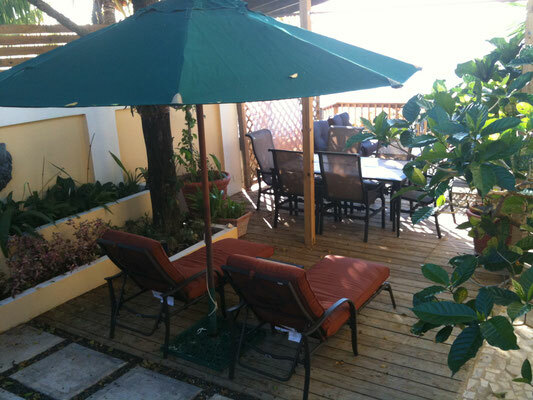 The spaces have been designed and utilized for maximum enjoyment of the surrounding nature. There is an outdoor shower for rinsing off after a day at the beach. Two Studio Apts., five 1 bedroom apts. and five 2 bedroom apts. Four of the 1 bedroom apts. Have a kitchen area and dining area. All five of the 2 bedroom apts. have kitchen area, living room area and terrace. All the 2 bedroom apts. can sleep six (2 full size beds and 2 twin size beds). Rentals by day, week or month, at reasonable rates. 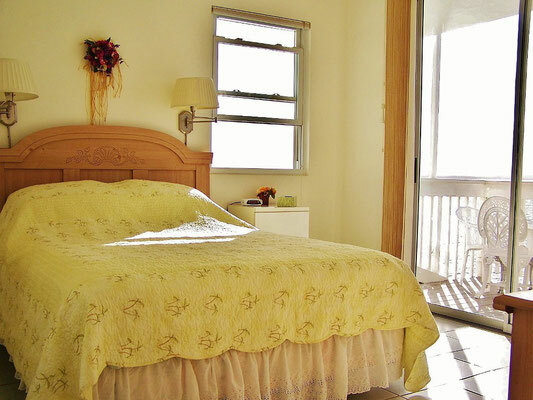 Steps to beach, country living, off street parking, near local restaurants and laundromat.